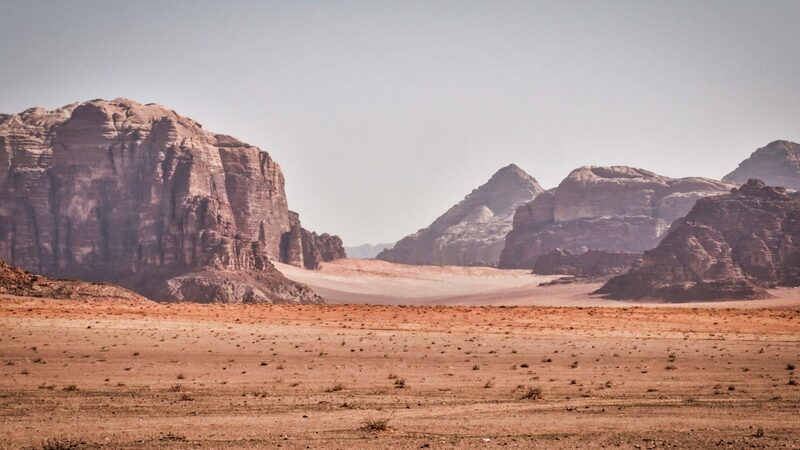 After hiking through welcoming villages where a cup of tea was always offered, our featured contributor Leon McCarron was struck by the sparseness of the landscape as he traveled the southern reaches of the Jordan Trail. 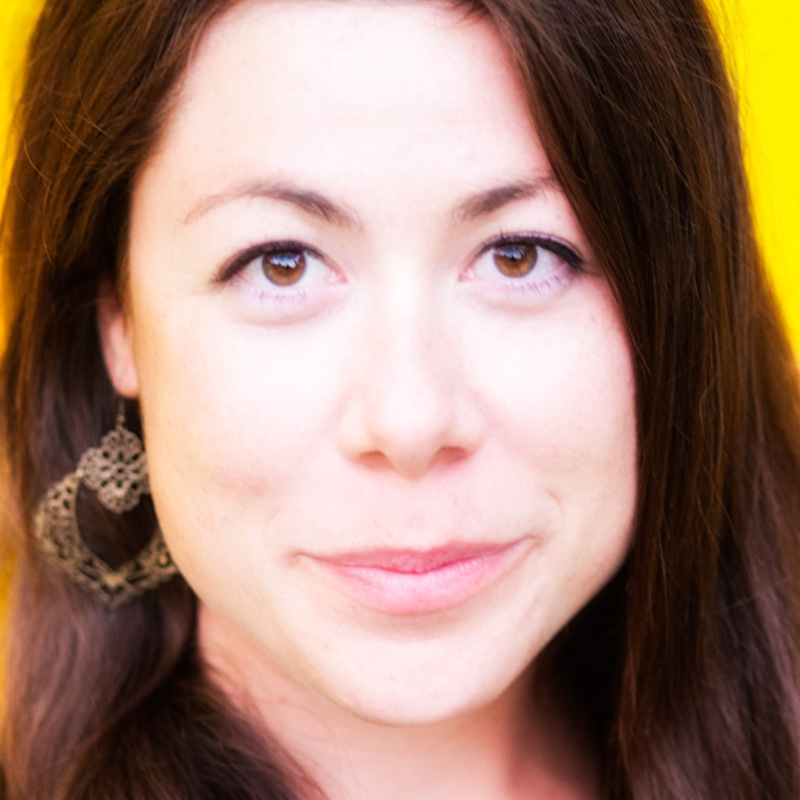 So often, the beating heart of any travel experience are the interactions and human connections we make along the way. I’ve found these to be the elements of journeying—and indeed life—that become the catalyst for some fundamental emotional change within me. But let me talk also of landscape. I’ve found that wilderness too has the power to shift one’s mood, or to wrench thought and feeling into an entirely new sphere in an instant. To feel a landscape—to be dwarfed by mountains or swallowed by ocean or humbled by the vastness of any new, natural scene—is one of the great joys of life. For those of us who live in cities, being a part of this is seen sometimes as a luxury, but as Edward Abbey wrote so forcefully above: This is not true. We need it, and fortunately, there are still plenty of places on our planet where we can seek it out. 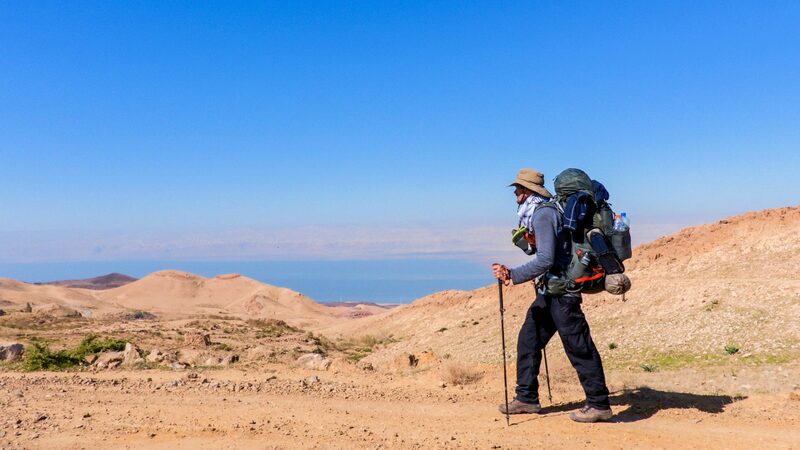 In 2016, I walked along the Jordan Trail, a new and audacious (and brilliant) hiking route that winds its way from Umm Qais in the north to Aqaba on the shores of the Red Sea. 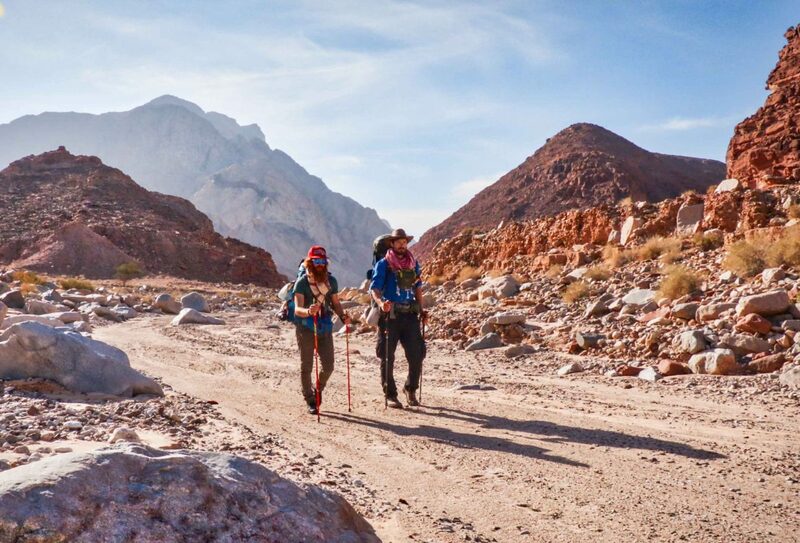 The early parts of the journey were filled with small villages and towns and sporadic Bedouin tents, and five, 10, 20 times a day I’d stop to drink tea and talk with those who lived along the trail. As I moved south, however those communities became more sparse—and empty, wild landscape took over. 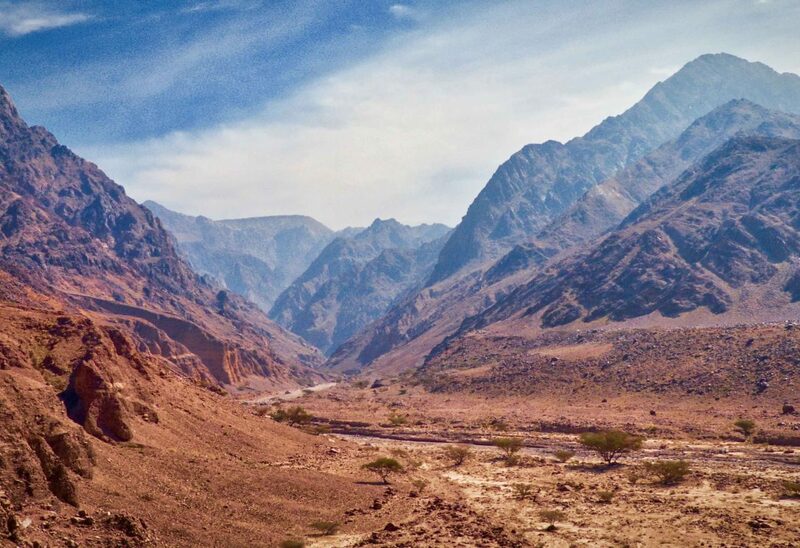 In the center of the country were three wadis (valleys) that ran laterally across my path, making their way west towards the Jordan River valley. 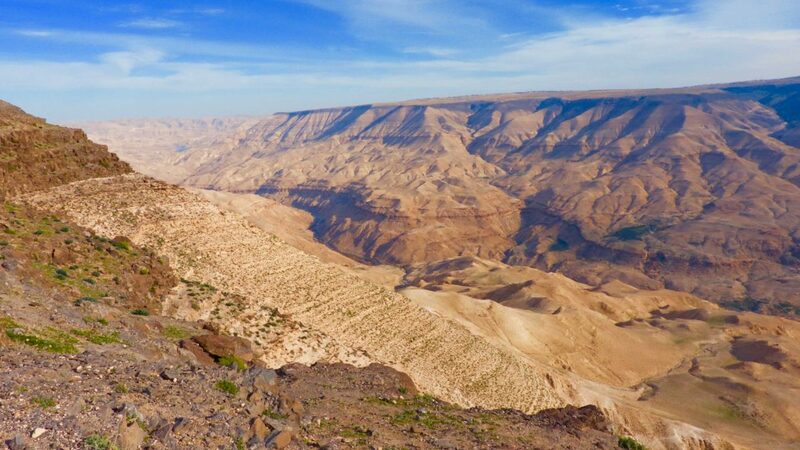 They were: Wadi Zarqa Ma’In, Wadi Hidan, and Wadi Mujib, pictured above. I’ve heard this latter gorge be referred to as the Grand Canyon of the Middle East, and it’s easy to see why. 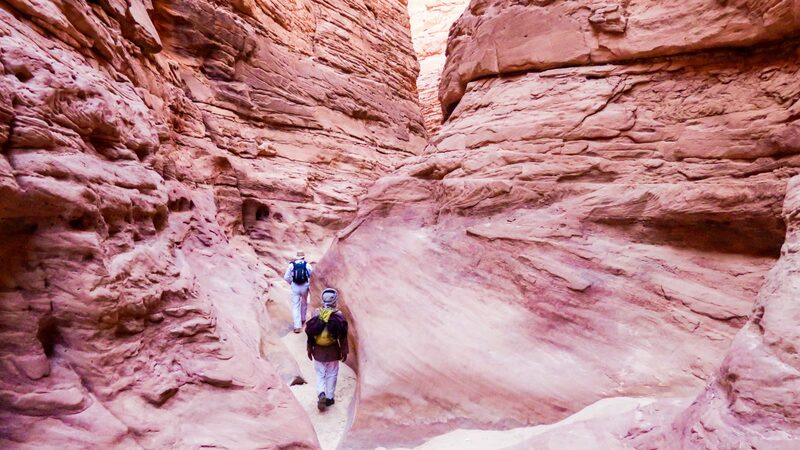 To cross each canyon required a descent of hundreds of meters to a hot, humid, riverbed, and then a lung-busting haul all the way back up to the plateau on the other side. 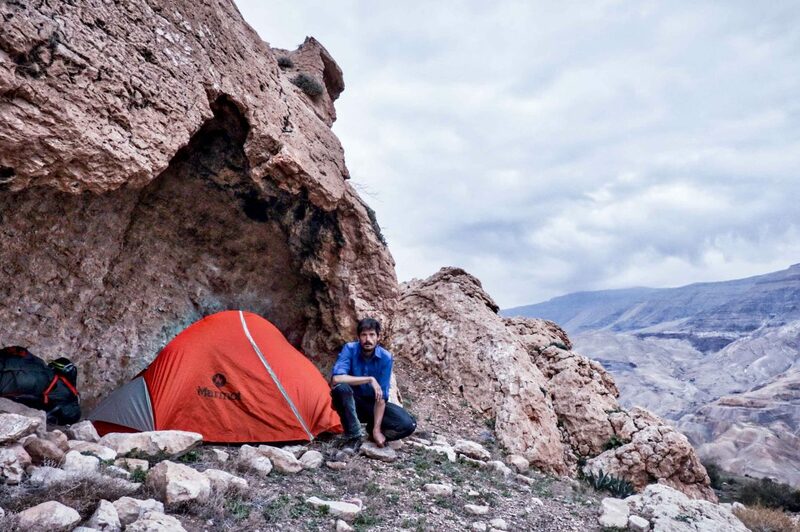 A few days on, beyond the city of Kerak, I walked into changeable weather and, above the natural hot springs at a place called Burbeita, I found an overhanging rock under which I could pitch my tent. At dusk, I thought I had the mountains all to myself, but as darkness filled the sky, small pinpricks of light appeared at two or three places on the hillside; the sign of others—shepherds, surely—also spending the night under the gray clouds. We would never meet, but sometimes, when alone in an unfamiliar place, it’s enough to know that there are others out there, sharing the same sky. The landscapes are undoubtedly dominated by the natural features but, just occasionally, there are reminders that there are people who live here, and that they have had to carve existences out of a beautiful but harsh environment. All sense of scale and perspective seemed completely lost—I couldn’t tell if the valley was only wide enough for a highway, or a jumbo jet, or a football field. The Ottoman-era village of Dana—perhaps four or five hundred years old—is an example of that resilience and skill. 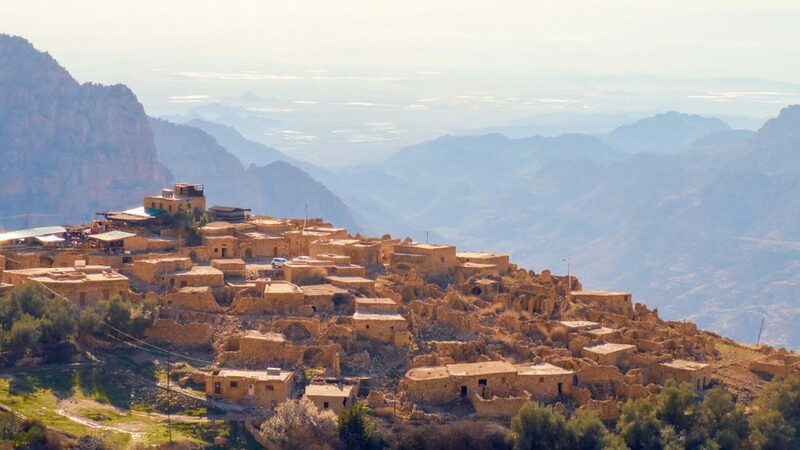 Beyond the buildings, Wadi Dana is home to the country’s most diverse biosphere, and the valley stretched out in front of me, pointing to the next few days of experience. 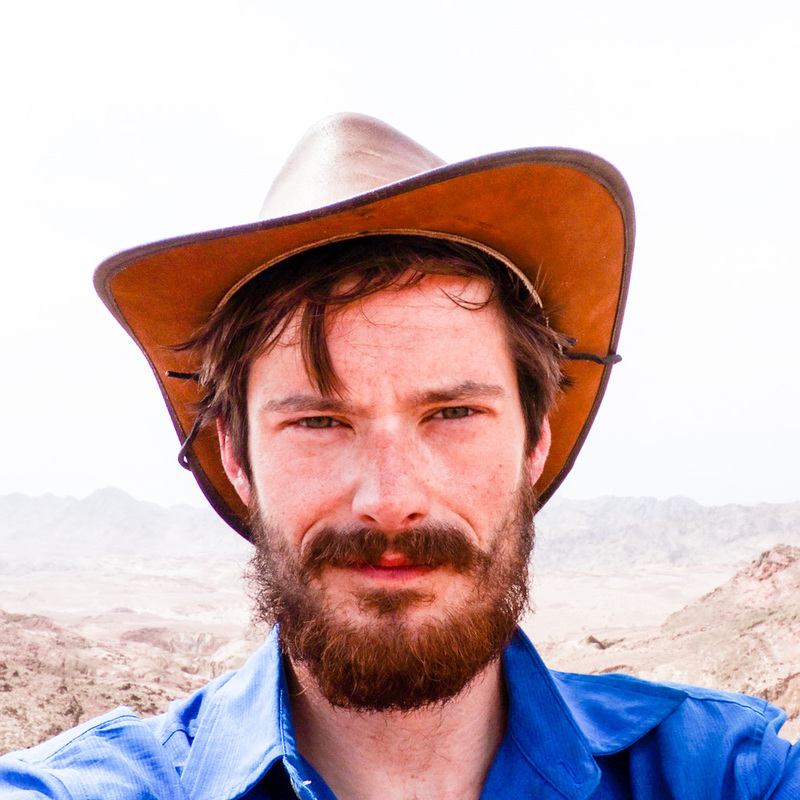 At times, I felt like I was the only human on earth, though I knew that I was probably never more than a few kilometers from Bedouin somewhere in the folds of a mountain. 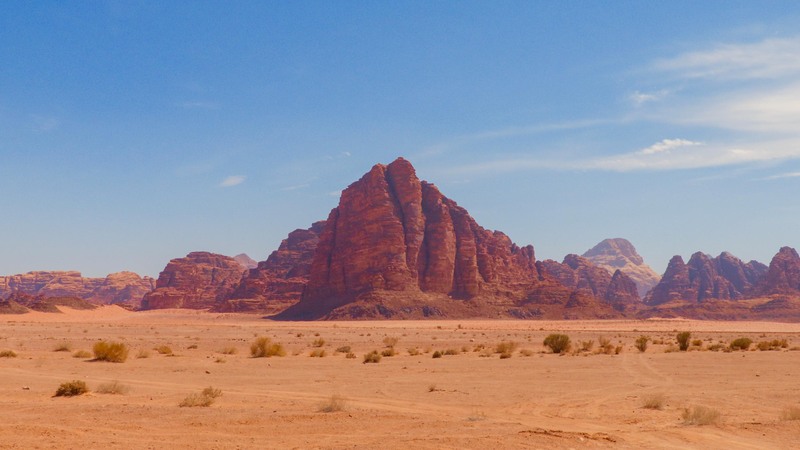 I had supposed that the journey south from Dana might be exposed and difficult, and therefore perhaps less enjoyable by virtue of the hardship, but as I arrived at the great mount of Wadi Feid, it struck me that this was one of the most remarkable places I’d ever been to. All sense of scale and perspective seemed completely lost—I couldn’t tell if the valley was only wide enough for a highway, or a jumbo jet, or a football field. (Note: it was the latter, at a minimum.) This was also a gateway, of sorts, to the next landmark in the canyons. 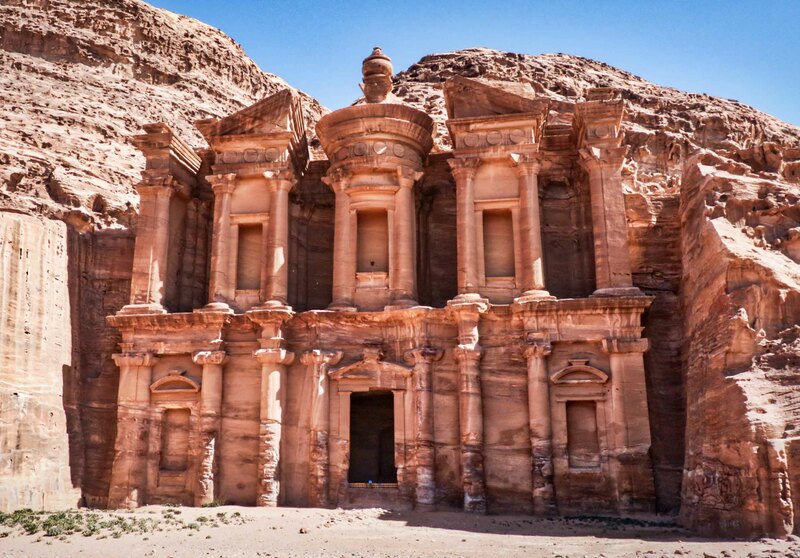 The sheer awe that’s inspired by arriving at the ancient Nabatean city of Petra is not to be underestimated. 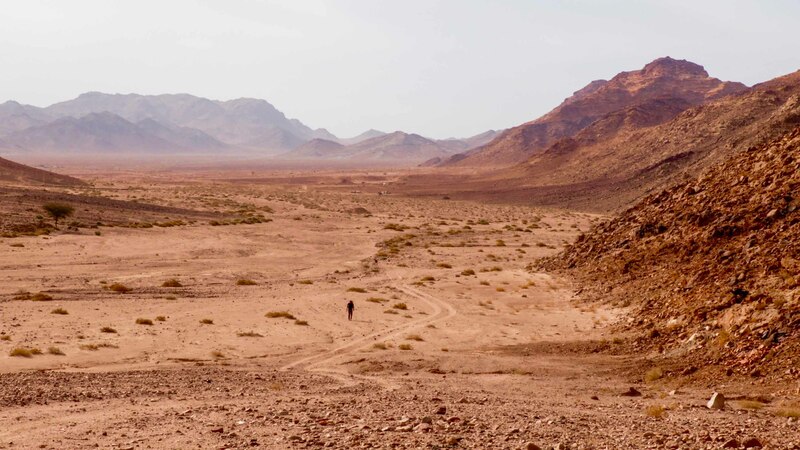 I came first to the Monastery building ‘through the back door’; that is to say, walking in from the north, rather than via the usual entrance by the city of Wadi Musa. 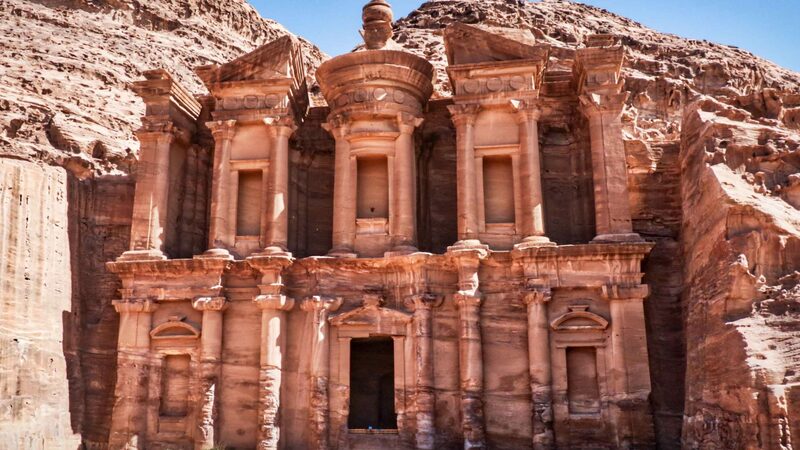 This façade, along with the others scattered across the vast site, was carved into the sandstone two millennia ago, and is as impressive now as I imagine it was then. It’s rare that humans are able to augment or improve upon a natural surface, but maybe this is an exception. 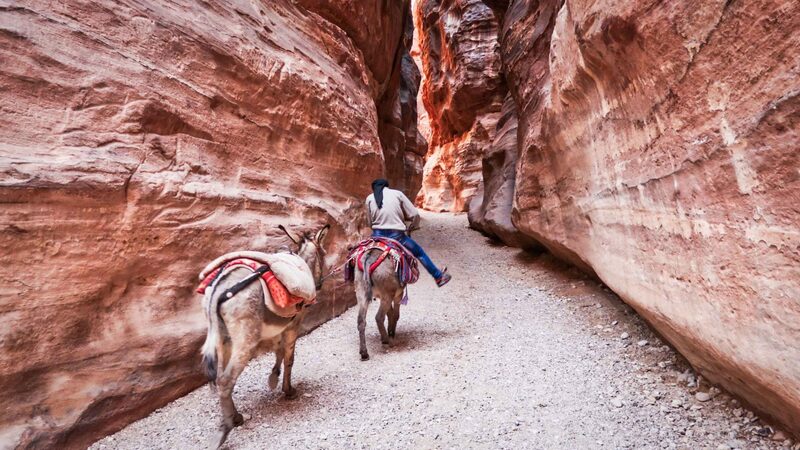 The Jordan Trail wanders it way out of Petra and into a series of long, empty wadis that reach and stretch their way down into the southern deserts of the country. Just before the descent to the Red Sea was a spot where Saudi Arabia, Egypt, Israel were all visible simultaneously: The complexities of the region in one sweeping vista. I was joined by some friends for these stages, and together we woke early, battling to beat the heat of the day, and made miles before collapsing in the shade of a rock or tree when, eventually, the sun defeated us. 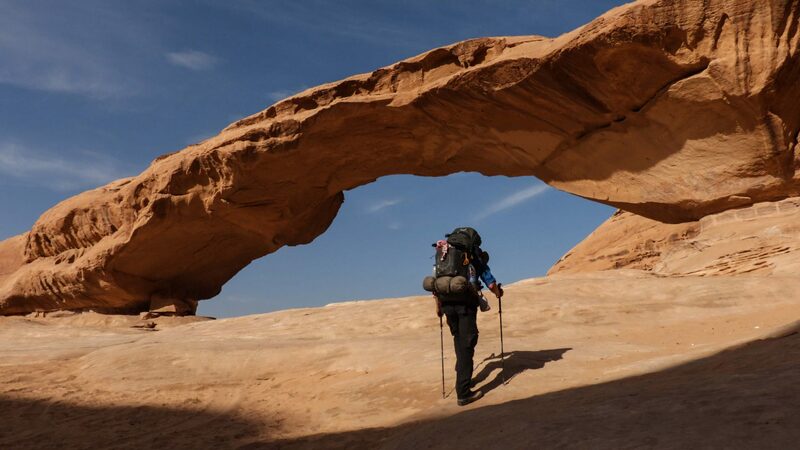 By way of the great rock arch of Jebel Kharazeh, we walked into the lunarscape of Wadi Rum, where great plains of red desert swept across between the gargantuan sandstone and granite rocks which punctuate the land. 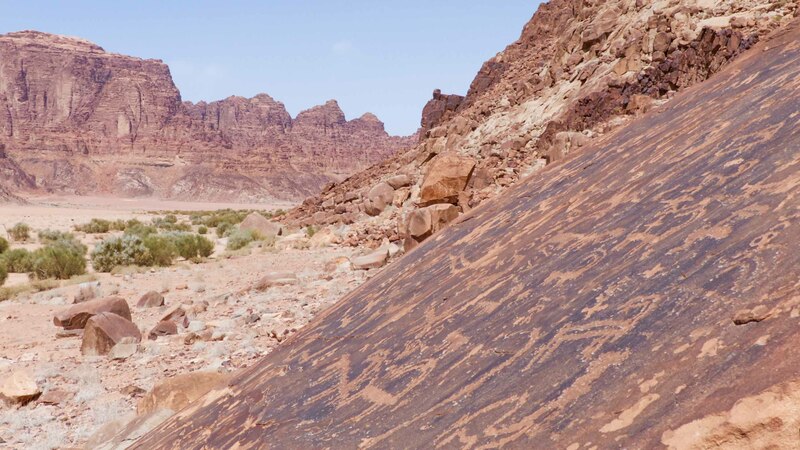 There was as much to be seen up close as from afar, of course; stone age petroglyphs carved into the lower reaches of each flank, and the minutiae that denote character of a place—the lizards, or camel prints, or hints of water below the surface. 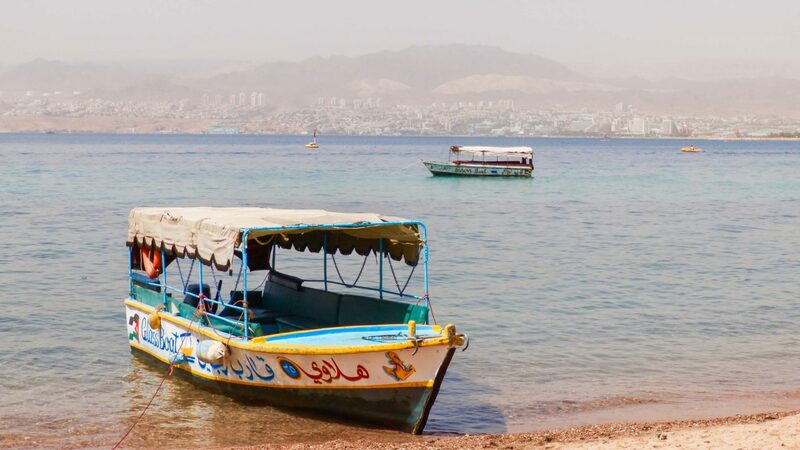 My tour of the wildernesses of Jordan came to an end beyond the Aqaba mountains. Just before the descent to the Red Sea was a spot where Saudi Arabia, Egypt, Israel were all visible simultaneously: The complexities of the region in one sweeping vista. My final steps reduced my view, up to now a panorama of wonders, to one single thing: The cool, refreshing embrace of the ocean. I plunged my head below, closed my eyes and, for a moment, saw everything that had led me here. And in an instant, it was gone.